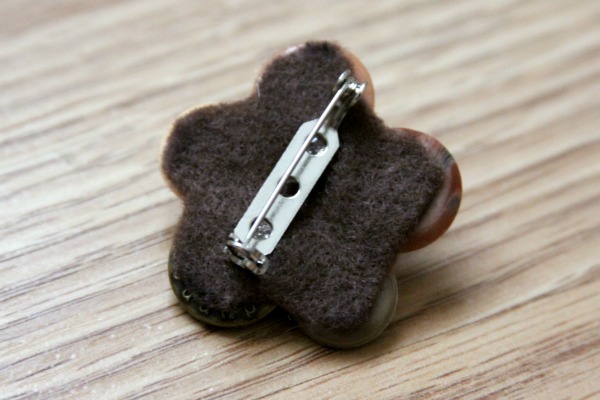 Make your own unique brooch with recycled felt and vintage buttons! 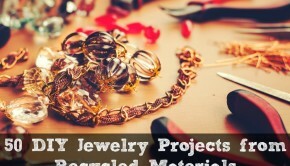 DIY fashion projects are so much fun and they help you skip the impact of buying new. Plus, who doesn’t love having accessories that are one of a kind? Thanks to my Grandma, I have quite the button collection, so I used several of them to create this beautiful vintage button brooch! 1. 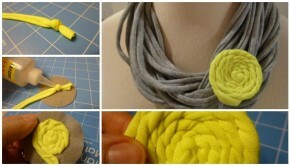 Recycled felt. You can also felt your own sweater if you don’t have recycled felt. 4. Vintage buttons. If you don’t have any vintage buttons, consider using eco-friendly ones like Tagua buttons, or search for vintage ones in your local thrift store. 6. Brooch pin. You can find these at your local craft store. 1. 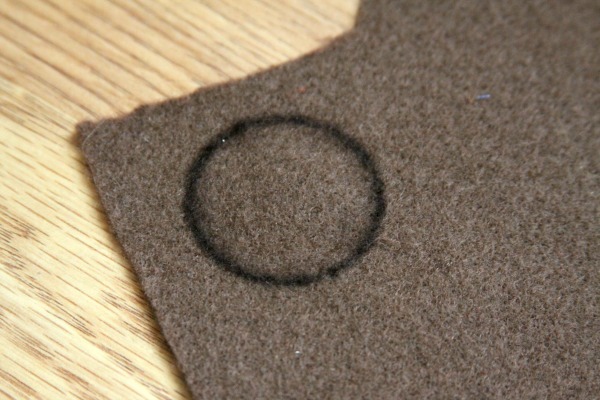 Draw a small circle onto your felt. Then, cut it out. 2. Look through your button collection and select which buttons you would like to use for your brooch. I used 5 smaller buttons around the edges and then a larger, chunky button in the middle. Mine looks like a flower, but you can do whatever floats your boat! 3. Once you have your buttons laid out, hot glue them to the felt. 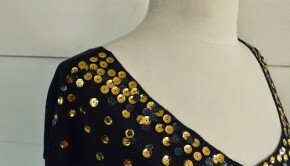 You can fill in the empty spaces around the buttons with smaller buttons or beads, or you can cut off the excess felt. I chose to cut off the felt to make my brooch look even more like a flower. 4. Hot glue the brooch pin to the back of the felt piece. When the hot glue dries, your brooch is ready to wear! If you’re not into brooches, you could hot glue a hair pin to the back of the felt, too– like I did with the Turn a Vintage Earring into an Unique Hair Pin post. 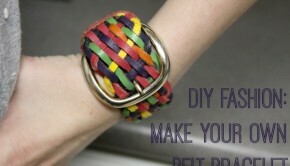 What fashion accessories do you like to DIY? Share your ideas and projects with us! We’ll pin them to our DIY Eco-Friendly Accessories board on Pinterest!